Chris Detrick | The Salt Lake Tribune Eileen Hallet Stone poses for a portrait in the Tribune studio Thursday March 8, 2012. Courtesy of Anne Quigley Maud Fitch of Eureka, Utah, drove an ambulance on the French front line in France during World War I. She returned to Eureka after the war, and later lived in Europe, California and elsewhere. On April 6, 1917, the United States joined the Allied forces to defeat Germany and the Central Powers in what was then called the Great War (1914-18). More than 200 bilingual female telephone operators, called "Hello Girls," were recruited to serve abroad. An initial corps of 400 nurses was sent to France to work in base hospitals. And nearing the war&apos;s end, Maud Fitch, a 35-year-old society gal from Eureka, traveled to Manhattan to join the Woman&apos;s Motor Unit of Le Bien-etre du Blesse, qualify as an ambulance driver, purchase her own truck and sail to France to do her bit. "To think at last I shall get into the very vortex of the greatest conflict in the history of the world," Fitch wrote in a letter to her parents reprinted in historian Miriam B. Murphy&apos;s 1990 Utah Historical Quarterly article, "If only I shall have the right stuff: Utah Women in World War I." Born in 1882, Maud was strong-willed and independent. She was a fine athlete and an expert automobile driver. Her father, Walter Fitch Sr., was a wealthy mine owner who developed the Chief Consolidated Mining Co. and the nearby Fitchville community. An advocate for his daughter&apos;s ventures, Fitch bought Maud&apos;s ambulance truck to take to the front. He paid in advance for six month&apos;s worth of oil and gas, and most likely the $30 per month required for upkeep and repairs. 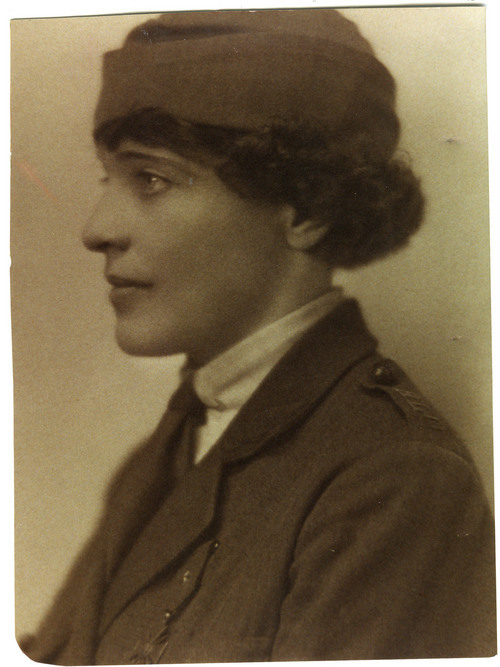 Although Maud hoped to drive for the Red Cross, she eventually joined the Hackett Lowther Unit, a private corps of British and American women serving the French Third Army. Among their tasks was to transport the wounded from front line medical units to evacuation hospitals. Maud often worked long shifts ­ sometimes 30 hours at a clip. She was known to catnap in back of the ambulance and, she wrote, "stroll about the hills with the guns at the front hammering in our ears." In the Oct. 5, 1918, edition of The Salt Lake Tribune, The London Mail reported, "These [ambulance] women have performed the work of men. They have fulfilled their dangerous duties unflinchingly." Transporting the wounded from the war zone was no mean feat. "An aviator just fell about a half a mile over [the airfield] and I had to go after him and take him back, cross-country over a terrible stretch," Maud wrote in the Oct. 7, 1918, issue of The Tribune. "At one time in a potato patch, I [got] stuck as too many doctors had got in with him. With a wild prayer, I was out of the hole in only a second, and then I had to make a horrible race for the hospital, four kilometers [2.4 miles] away, and over such a road! If I jarred him, he would die. If I didn&apos;t make it in time, he would die. I shall dream that four kilometers all the rest of my life. But I got the poor thing there alive." According to Murphy, Maud "thrived on dangerous &apos;frontwork.&apos; "
During one night rescue, Maud drove five wounded soldiers through heavily shelled areas, bribing Allied sentries with cigarettes to stop troops, trucks and traffic so she could motor through to the hospital. She assisted at a barrage, which was "thrilling," she wrote, "beyond anything else." After another flawless rescue attempt driving under heavy artillery fire to save lives, she received a gold star. Maud was as fearless under fire as she was experiencing life. An accomplished horsewoman, she rode a cavalry horse through the woods, swam in streams, danced with soldiers, fine-tuned her ambulance, chauffeured a French colonel, joked with peers, and fired a 74 mm field gun. After the war, Maud returned to Eureka, married mine superintendent Paul Hilsdale and raised a son, also named Paul. Living well into her 90s, Maud never lost her indomitable spirit or her pack of Chesterfields. Who knew how many other roads she would have to cross? Eileen Hallet Stone, an oral historian, may be reached at ehswriter@aol.com. 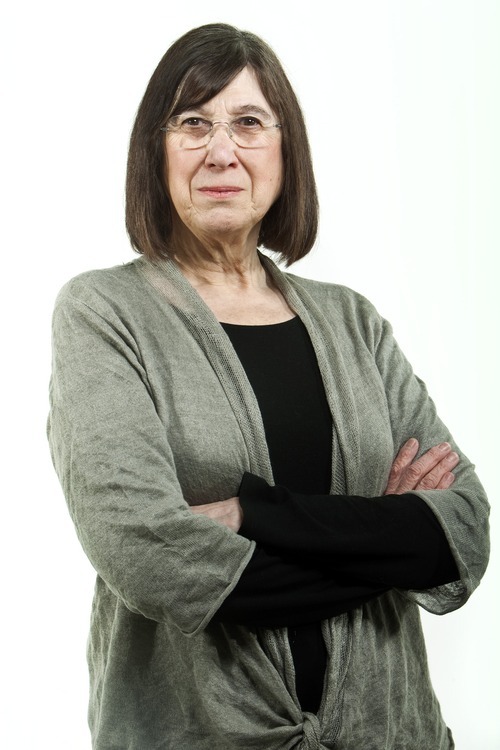 She is working on a new book, "Hidden History of Utah," a collection of tales from her "Living History" column.